As the days grow shorter and colder, many people will begin thinking about whether they’re ready for winter. Boots and scarves will begin reappearing and beach toys will be packed away. Your furnace will be charged with the task of keeping you and your home warm for the next few months. Think back to last winter: Did your home feel colder than you’d like? Now is the time to tune up, repair or replace your furnace. According to Kiplinger, hiring a technician to take a look wouldn’t hurt. The professional will be able to tell you whether your furnace is in good shape, whether it’s leaking carbon monoxide, and whether you’d be better off replacing it before the first snow flies. The U.S. Department of Energy pointed out that even if you don’t need a new furnace this year, it’s a good idea to have it cleaned up. Sediment can build up over time and decrease the furnace’s efficiency. Air leaks are some of the biggest culprits in keeping your house cold in the winter. If your home felt drafty in some places last winter, now is the time to hunt down those weak points. The DOE suggested using caulk to seal up cracks in stationary home features, like door frames, and weatherstripping where air is getting in past windows or doors. Air leaks can also become dangerous in some situations. Kiplinger explained that air leaks or insufficient insulation in the attic could lead to ice dams, large formations of ice that can block water from leaving the home and eventually cause water damage. Icicles can also be dangerous, with the potential to break windows or fall. A home-energy auditor can help prevent ice from building up on and around your home by identifying which areas need to be tuned up before the cold sets in. You may not spend a whole lot of time looking at your roof. However, it’s one of the most important features of your home. Before snow and ice come down on it, be sure there aren’t any broken or missing shingles. Fix these before too long to prevent further damage to the roof or the interior of your home. Also, Kiplinger noted that seasonally brushing off the roof is a good idea. Pine needles and other debris allowed to stay on the roof will retain moisture and eventually pose a risk to the integrity of your roof. 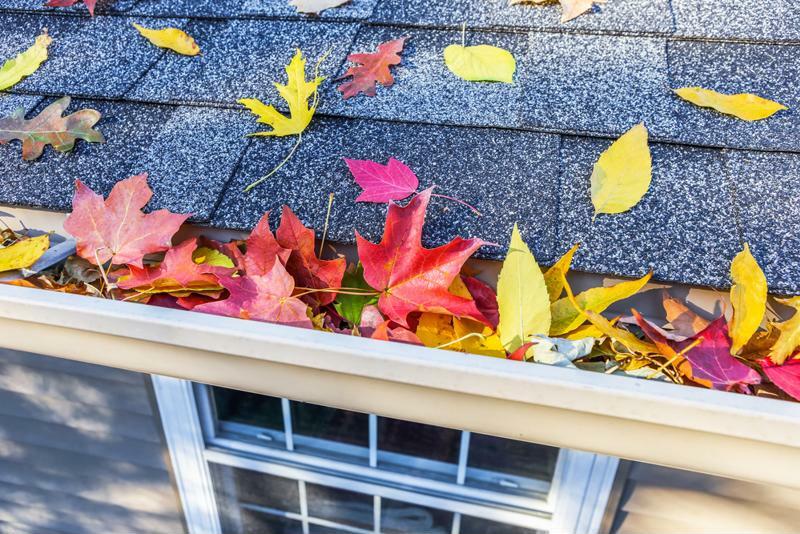 Make sure there aren’t any leaves or buildup in your gutters that could cause ice dams this winter. While you’re up there, take a look at the gutters. Make sure they’re all cleaned out before autumn comes to an end. Blockages are another cause of ice dams, so it’s a good idea to be sure water has a clear exit from your home. Damaged gutters may also direct water to the sides of your home, increasing the risk of water damage. To learn about obtaining a more affordable mortgage at today’s low refinance rates, contact Lenox/WesLend Financial or call 844-225-3669. As heard on the radio, it’s the biggest no-brainer in the history of mankind.